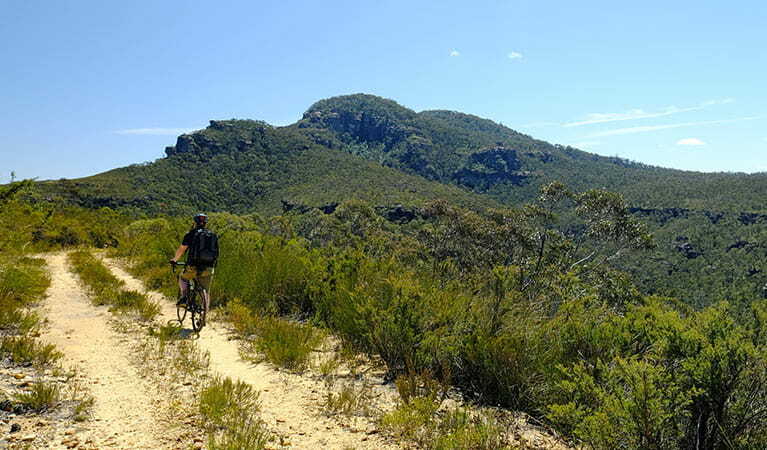 With scenic wilderness views, wildflowers and birdwatching, Mount Banks Road is a great mountain bike ride and walking track, near Mount Tomah, in Blue Mountains National Park. This moderate 2hr ride or 3-5hr walk has several steep sections. The track can be overgrown and obstacles including rocks and fallen trees can be common. 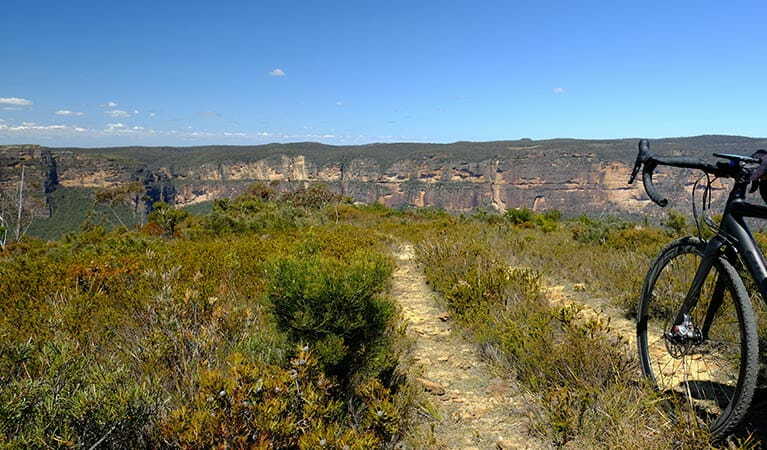 This trail is in the Grose Wilderness, where cycling and walking groups are limited to 8 people. 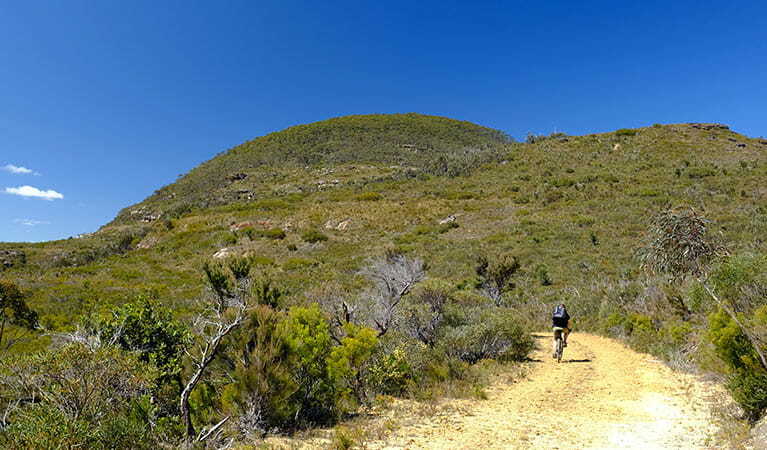 Hikers can combine this route with the Mount Banks Summit walk. 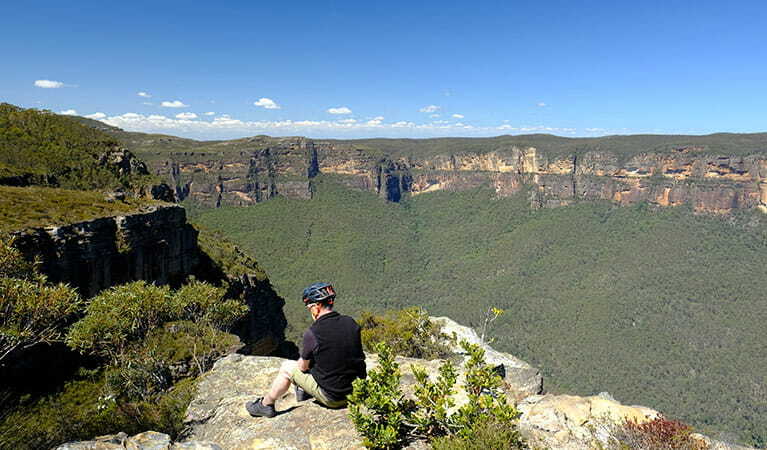 For a longer ride or walk, around 12.2km return, you can also continue along the road to a second clifftop viewpoint. Keep well back from cliff edges at all times, especially when taking photos. 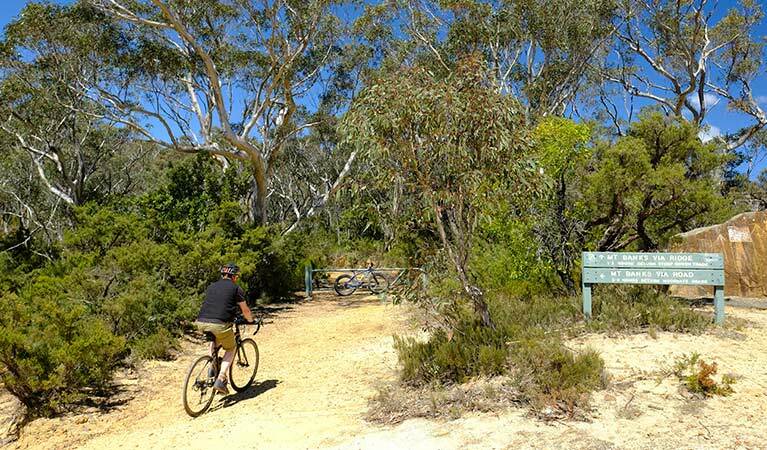 Starting at Mount Banks picnic area, this undulating route sweeps around the base of Mount Banks, taking you through diverse open heath and woodland, to the edge of the escarpment high above the Grose Valley wilderness. 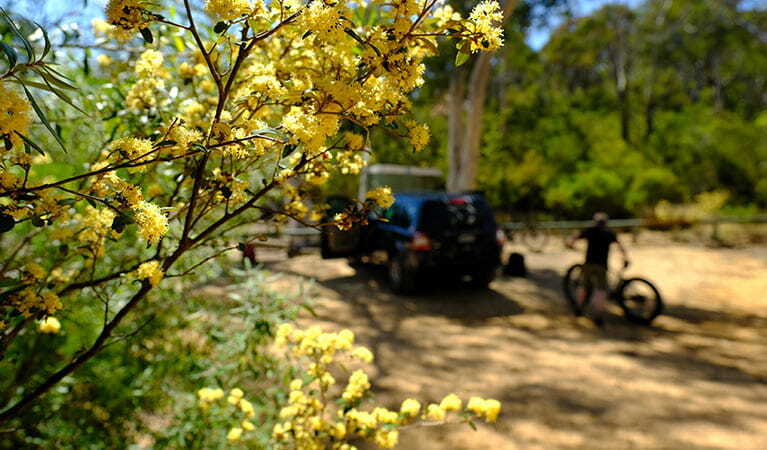 It’s an ideal for cyclists, or walkers and families who love a wilderness day-trip without the crowds. 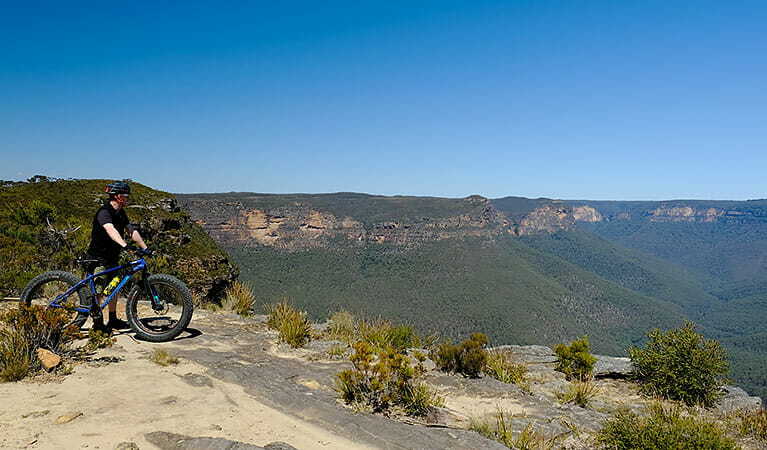 The medium-difficulty gravel trail heads deep into the World Heritage-listed Blue Mountains. In spring and summer, look for wildflowers as you wind along the trail, passing Mount Banks on your right before arriving at the cliff top above the famous Banks Wall. 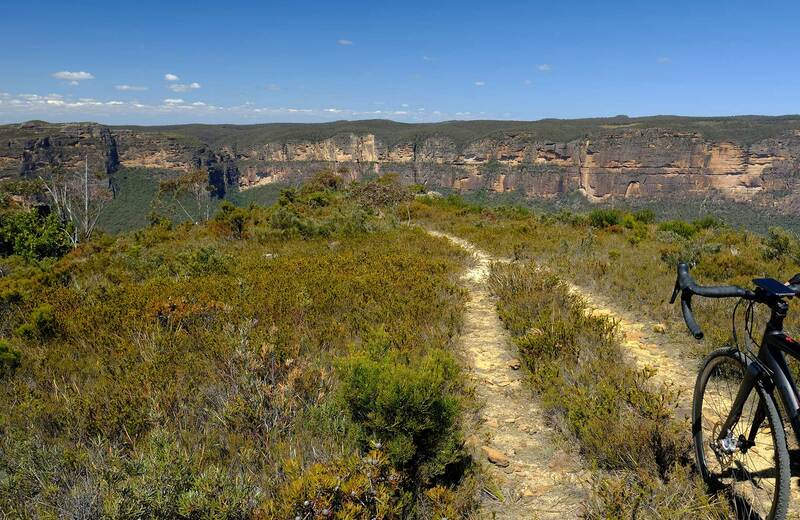 Gaze across the magnificent valley to the Grose River, Govetts Leap and the spectacular Blue Gum Forest. Bring your binoculars for a spot of birdwatching, if you're lucky you may see majestic wedge-tailed eagles soaring on the valley thermals or peregrine falcons. Unpack a bite to eat or head back for lunch at the picnic tables. If you're feeling energetic, continue along the narrowing clifftop trail around 1.1km to a second unfenced lookout, with views across to Lockleys Pylon and Mount Hay. Walkers can also connect with Mount Banks summit walk around 2.5km from the picnic area, via a 1km uphill track. Mount Wilson area is always open but some locations may close at times due to poor weather or fire danger.